4.9/5 out of 352 votes. The Life Path 6 suggests ability to adapt - that's your way to get what you desire out of life. You will have to adapt too many changes, different opinions, responsibilities and unpleasant situations. If you will not try to evade the inevitable, but will - in the opposite - understand the circumstances where it is required, you will be rewarded with happiness and satisfaction. You'll often play the role of a peacemaker, because you have a gift of understanding and patience required in order not to get lost in the arguments of a dispute and to encourage the disputants to find some agreement. Usually you are not confused by the fog of disagreement, you may distinguish the solid ground, where the hostility gives way to unanimity, and you always are able to show people the pleasant side of their relationship. However, you must use diplomacy and persuasion, rather than force, seeking to resolve the conflict. Wisdom of the mediator will bear its fruit and will be appreciated by a wide range of people, when the discussion will go beyond family misunderstandings - so you will become known as a benefactor of mankind in the best sense of this word. Love is the power, that is controlling your life, and your destiny is pushing you to teach love to the humanity, based on a profound sense of justice. Regarding peoples with numerology life path 6 personal relationships, their loved ones will always have their support, consolation. Your love and friendship are truly endless, and you are always beside your dear people at the right moment. You need beauty, peace and harmony in the environment and especially in your home. Home and family - are your main concerns, filling the house with happiness (the way you understand it) you will always do your best to make everyone around you as happy as possible. Life path 6 also represents selflessness - one of your main properties, and you are trying to teach young and old to understand your experiences, you share your knowledge, in the hope that all this will help people on their way. You always find sympathy and understanding, and you can easily find encouraging words for the sad and disappointed person, in the same time you will never criticize anyone. Great lover of beauty, you are expressing your devotion to art, first of all by manifesting yourself as a creative person. Your home looks a bit like a museum that shows the breadth of your interests, but this "museum" is saturated with the warmth of your heart and enchanted by your charms. You have to take a lot of unpleasant duties, you will find this weight difficult, but you know how to answer the call, fulfill your circumstances and do it by applying all possible powers - this is your way to a better understanding of life and becoming a really happy person. Your instinct is telling you that in the struggle against adversity you will only become stronger. A famous saying "like water off a duck's back" is exactly about your case. Remember, you will never have any tests that are beyond your capabilities. You are from the great humanists - never be shy to prove it to the world! 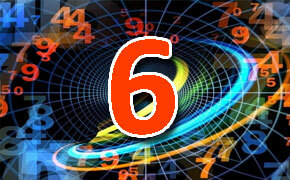 The number 6 Life Path produces few drawbacks named: extravagance, obsessive patronage and, in part, hypochondria. You also often interfere in the affairs of others and try to make people - even though they do not ask for your advice - understand, where you think they were wrong. You often do not want to forgive people for their weaknesses, if they are not similar to those that are peculiar to you. Natural vocations and careers for life path 6 are: nurse, doctor, elementary school or kindergarten teacher, homemaking, guidance counselor, family and marriage counselor, community service, lead of boy scouts, volunteer work, professional hostess, governess, interior decorating, waiter, social services director, craftsperson, artist, social worker, instructor, singer, musician, waitress, promoter of social welfare and arts, manager of cafe or restaurant.